In the relentless yet evergrowing realm of gaming of the 21st century, there is a constant hustle to stay on top of the game as it is the utmost priority of an avid gamer. Therefore, the researchers at Appuals have brought you yet another exciting update on your basic gaming needs and this time the center of attention is top gaming earbuds for gaming. Earbuds pose as a vital need in today’s gaming frenzy because of its affordability, compatibility, and portability. In fact, a lot of manufacturers include complementary carry cases or extra peripherals for the consumer’s convenience as well such as silicone tips, case stickers and much more. Now since we have already narrowed down to the basics, it’s about time we began our search to get you the perfect gaming companion for your hearing needs. The most premium looking and sounding competitor from the above mentioned would be Bose which is casually acting upon its legacy by providing a premium package but of course, followed by a hefty price tag. The design is quite minimalistic which resembles an average modern-day earbud followed by the plastic and rubber enforced body. They come with complimentary ear tips which provide a long-lasting and stable listening experience for those long gaming hours and are less likely to fall out during an intense gaming session. 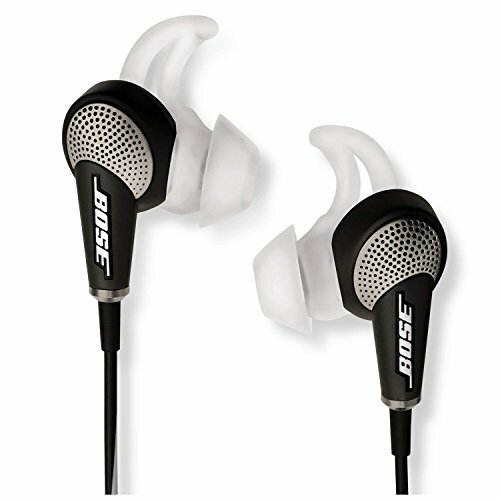 Bose offers optimum performance and is perfectly crafted to easily provide one of the best audio quality out there. It comes with the latest Noise Cancellation technology from Bose which uses an inbuilt signal processor and microphones to block out unwanted noise and provide an immersive experience while rivaling other headphone manufacturers. However, this technology is quite smartly devised as it has an Aware Mode which lets you tune in to environmental noise and audio from within the earbuds simultaneously so you never lose track of your surroundings. The bass of this product is closely associated with the quality of full-fledged QuietComfort series headphones that Bose manufactures but then again there is a slight difference in the bass quality because of its form factor and portability. The audio clarity of these earbuds is quite impressive and crisp. The lack of wireless connectivity i.e Bluetooth support might not be a big deal for a lot of users but considering the growing number of mobile platforms rapidly evolving to get rid of the headphone jack, this might prove to be a downer in future proofing this purchase as it comes at quite a high price tag but nonetheless it provides an experience like no other in its category. Here is another renowned competitor of the market here with its subtly fair price point and high-quality uncompromised performance. Razor has had its place in the gaming industry for a while now and with the rise of its mobile gaming franchise, it had decided to up the game by launching these fabulous earbuds which turn out to be yet another successful hit in the industry. 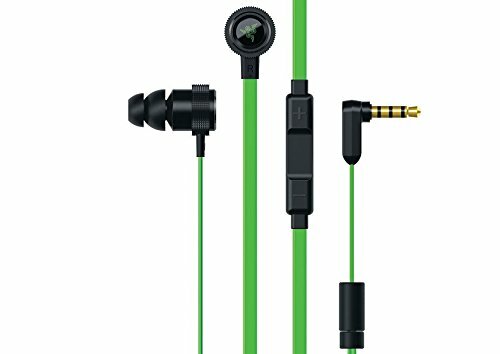 These earbuds pack quite a lot of features in it’s precisely designed body and flatlined cables which have been introduced in this variant for less trouble and a tangle-free experience. The Razor Hammerhead family has numerous variants ranging from Bluetooth wireless, USB-C to Lightning Port variant for iOS users with a specifically optimized app for iOS. However, the prices may vary from every variant because of its multidimensional nature. Another interesting aspect would be the major overhaul that it has received as compared to its predecessor in terms of its sound quality and audio reception. The bass and audio clarity has improved vigorously because of its redesign and the inclusion of a larger 10 MM driver which provides up to 20% better bass quality. The Razor Hammerhead V2 Pro, in all its glory, is a fine choice in this list but lacks in some focus areas such as the bass might sound a bit too heavy at times and there are several competitors available with more balanced sound but lack the functionality of the Razor Hammerhead series. Sennheiser is one of the topmost brands in the world of headphones and microphones and it stands out because of its perfection and stability. All of Sennheiser’s products have a signature finish and premium performance with its German sound engineering which is impossible to neglect. Sennheiser has been the trendsetter globally and continues to improve with every passing release. Sennheiser CX 5.00 provides incredibly well-balanced audio which is more likely to improve your overall gaming experience. The design allows for an exterior plastic body reinforced with a metal chassis which sits beautifully within the frame with the name of the brand embellished on top. There are no compromises on the design and build quality of the product. As far as the sound quality is concerned, it is quite optimized to provide an overall excellent audio output with good bass and crisp audio quality but also has been known to produce warm tones and it might only be noticeable if you are exceptionally sensitive to such qualities. Ideally, there are a lot of competitors for this earbud but all of them are from the same manufacturer i.e Sennheiser such as the Momentum In-Ear earphones. Each one of these products has specific traits which are reserved to only those models as a unique selling point. Despite its non-removable cable, these earbuds prove to be quite robust and can be easily future proofed to withstand daily wear and tear. In order to make it a precise fit, there are adequately designed silicone tips included with these earbuds which are provided according to an average user’s comfort level. These also contain a two-year limited warranty from the manufacturer if purchased from an authorized Sennheiser dealer which makes it a very secure purchase for the distant future along with the present. Koss, a manufacturer which a lot of gamers might not be familiar with, is a well-reputed brand known for its dynamic range of products for people who are on a budget. The key factor to focus on while reviewing these earbuds would be the price tag as these come at a very low price tag while preserving the same qualities that a decent gaming earbud should possess. After the price, the next important aspect to consider would be the quality which is up to the mark. The overall external view of the earbud packs a pretty minimalistic design which makes it a pragmatic companion. The aesthetics of the earbuds are quite unique because of its foamy and conical exterior. However as this design is believed to make the earbuds fall out periodically but contrary to popular belief, this is not the case with this product because the shape of it might be conical but it is reinforced by the Memory Foam technology. It is basically that the conical tips of the earbuds are designed to react like foam with the properties of a rubber i.e fall back into place moments after the exertion of any sort of force. 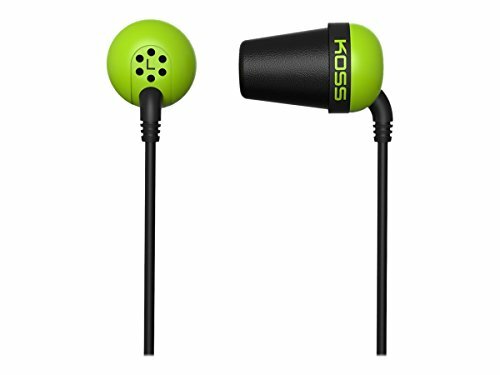 Koss provides optimum audio quality based on its price point, it offers a deep bass along with better audio clarity as compared to other average earbuds in this price range. Because of the foamy outlay, the noise isolation might not be ideal which might cause the audio quality to suffer a bit but the difference is mostly negligible. Another vital aspect to be noted would be the distinctive performance in a budget range while maintaining the build quality. Koss offers a lifetime warranty for these earbuds so this automatically makes it a perfect and viable choice if you are on a budget and not willing to compromise any other aspect whether it be the quality or the aftersales service. Hyper X is a subsidiary of Kingston Technologies and Kingston is a brand which has been notoriously known for its unparalleled PC peripheral range. Hyper X is a brand which was specifically designed to provide an upbeat gaming performance and most renowned for its flagship SSD range. Hyper X Cloud Earbuds carry on this quality of providing optimum quality on a very budget-friendly note. 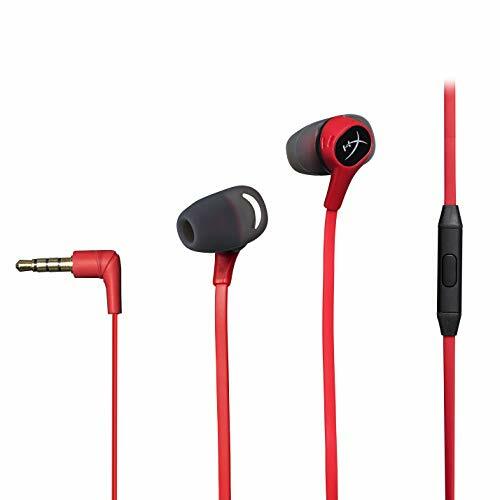 The most noticeable quality of the earbuds would be its sleek and elegant finish along with its red and black exterior which gives it an aggressive look, to begin with. Not to mention the build quality which offers the best possible comfort you could get at this price range. Since it comes with a 3.5 mm jack which makes it compatible with the Nintendo Switch gaming system and an ideal gaming companion for mobile devices. Additional features include a tangle-free cable, custom three sized silicone tips with sizes ranging from small to large for every ear size and a carry case. The custom tips offer the best comfort for long gaming sessions on the go. Not only this but it is also very lightweight offering the perfect balance of performance with portability including a very immersive gaming audio experience with active noise blocking and a 14mm driver with neodymium magnets. The mic of the earbuds has been proven to provide a very sharp result which is best for an in-game chat with super crisp bass and audio clarity at its best.